Explore the geographic distribution of Fortune 1000 companies for 2017. Map showing cluster of Fortune 1000 companies along the East Coast. 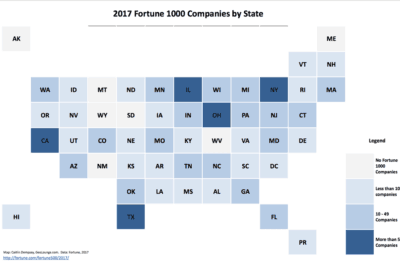 This article takes a look at the basic geographical distribution of Fortune 1000 companies in 2015 by state, city, and ZIP code.